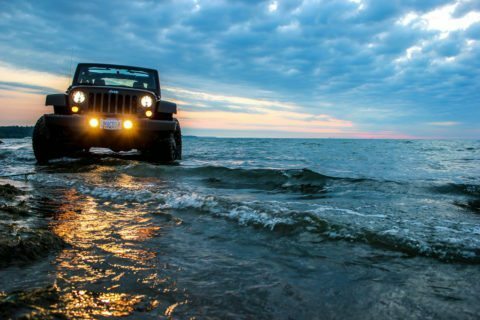 With the official summer season rapidly approaching, you’re undoubtedly busy plotting and planning (or at least fantasizing about) all the trips you’ll be making in your Jeep. If you’re like me, after months of winter inactivity you’re eager to get outside and ride. In addition to mapping out fun trips, now is a great time to be thinking about add-ons to your rugged ride to maximize your summer riding. 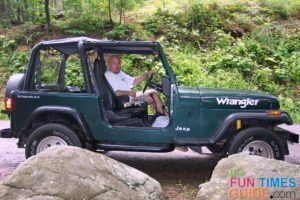 Following are my top 3 picks for summertime aftermarket products for your Jeep. 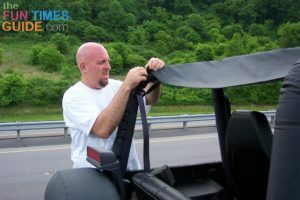 A summer top (also called a bikini, safari, brief, or bimini top) is a soft-covered top that gives you and your Jeep partial or full protection from the elements. Whether you choose a solid or mesh fabric, a summer Jeep top gives you protection from the heat and wind — while still giving you that open-air experience of riding with the top off. A summer soft top is also infinitely cooler (in both the literal and figurative sense) than a hard top, making it a must-have product in particularly warm climates. TIP: Be sure to test putting the summer top on and off your Jeep before you buy one! Ease of use and installation are key — because you will be taking the top on and off frequently, depending on your outing… or the weather. (I learned this the hard way. The first summer top I purchased for my CJ-7 had snaps that were cumbersome.) Also, many summer tops require a windshield channel for installation, so be sure to check ahead of time. If you purchase a summer top, then a windjammer is a no-brainer to go along with it. A windjammer is essentially a windscreen that reduces the wind in the front cab of your Jeep. So, a summer top and windjammer combined will give you both sun and wind protection! 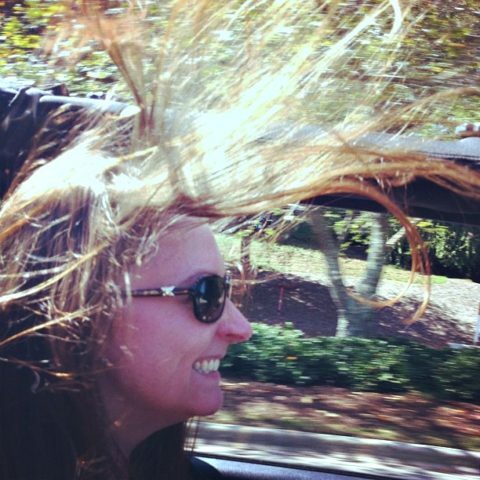 Although having the wind whip through your hair is a thrilling Jeep experience, it can be a real nuisance at high speeds or during periods of prolonged travel. I’ve found a windjammer to be particularly effective at reducing the wind whipping against the back of my head. It also makes it a lot easier to hear when you’re driving — which is essential for safe Jeeping or when you have a passenger with you. TIP: In addition to working in conjunction with a summer top, a windjammer works quite effectively on its own as well. Simply connect it to your top rollbar to hang behind your 2 front seats for the same front-cab protection. All in all, a windscreen is a versatile add-on that is well worth the money. Living in the rainy Pacific Northwest, tinting the windows in my CJ-7 never crossed my mind. Heck, I don’t even need sunglasses for the better part of the year. However, the summers can be surprisingly sunny here — and for long stretches at a time, to boot. Plus, when I’m riding with the top off, I’ve found that tinted windows give me just the right amount of added protection from glare and overall brightness. Fortunately, there are a lot of window tinting products out there so you can convert your Jeep’s windows easily and affordably. I’ve seen everything from spray-on film tinting to laser tinting. I’m partial to precut window tinting kits, which come with step-by-step instructions. TIP: It’s a relatively easy DIY project. Here’s how to apply precut window tint cutouts yourself. 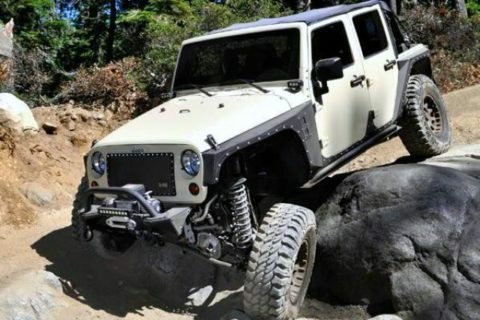 You may want to consult your dealer or local Jeep enthusiasts on what has worked best for them and what would be the best option for your model. Whether you pick up this one add-on — or all 3 Jeep add ons — your summertime Jeeping will be much more enjoyable!